"I never saw Bruce Jenner compete in an Olympic games. I got to know the name from growing up as a sports fan and watching television. But like all of us, I never knew the real story. I hope watching it does to you what it did to me — surprise you, teach you, and help make our country a better place to live and a better model for the world." Then began the video, which you can watch above. It starts with Jenner describing her own journey, saying, "When you go through you life with secrets it just, after a while, wears on you. I was kind of living my life with other people. It felt like for all those people saying 'I want to be like Bruce Jenner,' I cant let them down." Intercut with Jenner's words were video clips of all of her achievements in sports, highlighting her decathlon gold medal at the 1976 Olympics, as well as interviews and new reports from the time, and experts commenting on her impact in the sports world. When discussing Jenner's past, the commentators, as well as narrator Jon Hamm, used male pronouns and referred to her as Bruce, seeming to make a distinction between Jenner's past and present. Still, it was clear that everyone in the video has great respect for Jenner, and it eventually shifted the conversation from her Olympics achievements to her heroic journey as an advocate for the transgender community. Here, Jenner talked about how she realized that she could help others by sharing her own story. I came to kind of a revelation that out of all the things I have done in my life, that maybe this is my calling. To take my struggle, throw it out in front of the world, maybe I can bring understanding on this subject. It's time that I do my best. This is an issue we can deal with. This is not something people have to die over. Jenner's mother even said that she is "even more proud" of Jenner now than she was at the Olympics, while Kendall Jenner expressed love and support for her parent and lamented the fact that she had to hide her true self for so long. When discussing Jenner's journey, female pronouns were used and she was referred to as Caitlyn, marking a difference from the earlier depiction of her athletic career. I was at first concerned with the different pronouns and names used in the tribute, as typically, once a person transitions, they are henceforth referred to be their adopted name. But by the end, it became clear that was all done with purpose. It was also evident that Jenner played a large role in the tribute, and likely gave her approval of all of the language, as she appeared throughout it, telling her own story in her words. Everything came together in the video's conclusion, as it ended with Jenner's mother finally tying those two narratives together by saying, "Bruce, Caitlyn, they're one." 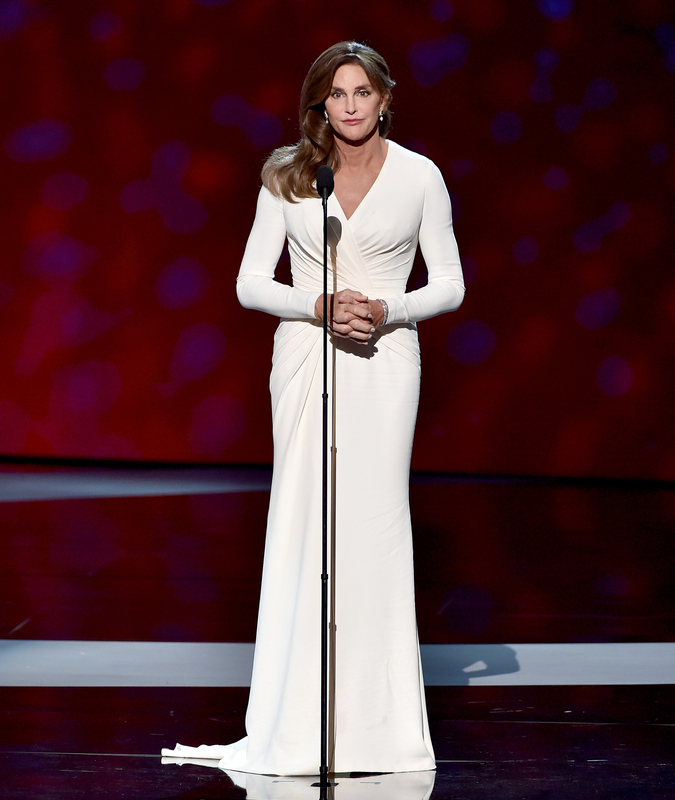 Then Jenner took the stage, ready to inspire the world once again.